Extra large table bases with cast iron feet and Silver column, suitable for use with table tops up to 1000mm square or 1200mm round. Available from stock for a fast and free. 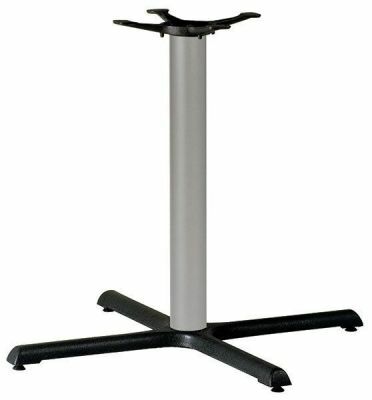 Trendy range of sturdy table bases, to compliment a modern and professional interior. This range is held in stock for a fast delivery to Uk addreses.